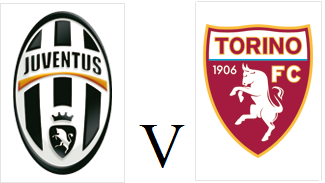 Torino make their shortest journey of the season on Sunday evening when they travel to across Turin to face their arch rivals Juventus. and have not scored a goal against the Bianconeri since 2002. If that wasn't enough, Juventus have won their last 24 home games in Serie A, whilst Toro have only won one away game all season in the league. Former Juve striker Fabio Quagliarella should return to the starting eleven after being rested against Club Brugge on Thursday, whilst Josef Martinez's impressive performance in that game may give Giampiero Ventura something to think about. The stats above may not give you much belief that Torino can get a result on Sunday, but maybe this video will give you some hope. An outstanding performance from Club Brugge's Australian goalkeeper Maty Ryan denied the Granata a victory which would have secured qualification for the next round of the Europa League. With the derby against Juventus just three days away, Giampiero Ventura choose to rest a number of key players and that meant Daniele Padelli, Pontus Jansson and Josef Martinez all started. It was the Belgian side who had the first chance of the game, but Victor Vasquez curled his effort wide of the post. At the other end, Josef Martinez did well to get a shot on goal, but his low shot was well saved by Maty Ryan. Ryan produced arguably his best save of the night just before the hour mark, as he somehow got down to deny Martinez's excellent diving header. Matteo Darmian and Omar El Kaddouri both had great chances, but Toro still could not find a breakthrough. Just before injury time, substitute Marcelo Larrondo thought he had given Torino all three points but the Australian made one more sensational save to earn Club Brugge a point. Toro still have qualification for the next round of the Europa League in their own hands, and only need a point in their final game against Copenhagen to guarantee a place in the last 32. Torino can secure their place into the next round of the Europa League if they beat Club Brugge and Copenhagen fail to beat HJK Helsinki on Thursday. The Granata suffered a disappointing defeat against HJK Helsinki last time out, but have a 100% record at home in Europe this season. With the derby against Juventus on Sunday, Giampiero Ventura may choose to rest a number of key players including captain Kamil Glik and top scorer Fabio Quagliarella. Club Brugge currently top Group B and impressively beat Copenhagen 4-0 in Denmark in their last European fixture. Domestically, the Belgian side are currently top of the table having only lost one game all season. Torino missed from the penalty spot for the third time this season, and were made to pay the price as Sassuolo scored a late winner to take all three points. Giampiero Ventura surprisingly chose to field just one striker, Fabio Quagliarella, with midfielders Juan Sanchez Mino and Omar El Kaddouri given license to support the former Napoli man. Omar El Kaddouri had Toro's first effort on goal, but his curling effort was well saved by Andrea Consigli. Torino had the chance to take the lead after good work from Bruno Peres led to Paulo Cannavaro bringing down Fabio Quagliarella in the area. Juan Sanchez Mino became the fourth different Granata player to take a penalty this season, but his weak effort was well saved by Consigli. In the second half, Peres broke clear of the Sassuolo defence but his pass across goal to find Quagliarella was intercepted. Sassuolo's best chance of the game arrived when Simone Zaza somehow managed to blaze over the bar from ten yards out following Nikola Maksimovic's goal line clearance. Excellent work from Omar El Kaddouri gave Quagliarella another chance to give Toro the lead, but he was once again denied by the excellent Consigli. With just three minutes remaining, Toro switched off from a corner and that allowed Antonio Floro Flores to head home Šime Vrsaljko's excellent cross. This was a disappointing result for Torino ahead of an important week, and their failure to rectify their terrible record from the penalty spot exemplifies the problems the Granata have been having this season. 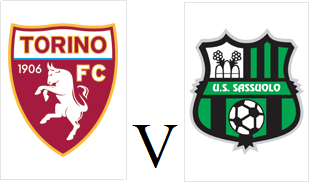 Torino face arguably their most important week in recent history, which begins with a home match against Sassuolo on Sunday. The Granata face a crucial Europa League match against Club Brugge on Thursday, and then face Juventus in the derby a week tomorrow. Toro are expected to return to two strikers, so Amauri is likely to join Fabio Quagliarella up front, whilst Alexander Farnerud should keep his place in midfield. After a poor start to the season, Sassuolo are unbeaten in their last five matches, and come into this game above Toro on goal difference. However, the home side have a good recent record against Sassuolo, having won their last three matches against the Neroverdi, and this good run will hopefully continue tomorrow. How and when did you start supporting Torino : Well the clue is Man City, the team I have supported since 1953! So when Denis Law went to Torino for one year in 1960/61 I think, I began to take an interest in Il Grande Torino and have never regretted it. Since retiring in 2001 I have been to Turin several times and at my first game at the Stadio delle Alpi I noticed a sign CIAO DENIS which sent a shiver down my spine. I have read the history of the club in the book The Day Italian Football Died by Alexandra Manna,a Torino supporter and her English husband Mike Gibbs,which I would recommend. Apart from discovering Torino in the sixties, my first chance to see them live was on the old channel 4 coverage, though we did not appear that often. I do remember two old games in particular - Juventus v Torino(2001/2), 3 - 3 and the play off games against Mantova which I think were shown on Channel 5. The Juve game I saw on the midnight show and I knew the result otherwise I would have switched off at half time. 3 nil down Torino came back to draw 3 all and Juve missed a penalty in the last few minutes. Dramatic or what! I seem to remember also a Juve player mocking our supporters by running around with two fingers on top of his head imitating a bull. When Ferrante did the same after our equaliser, running the length of the pitch towards our end, the atmosphere was indescribable. I was,to use the old cliche, over the moon. The play off was equally memorable, 4 - 2 down after the first leg,having conceded 2 penalties and going 4 - 1 down, coming back to almost make it 4 - 3, things did not seem too promising. After 90 minutes of the 2nd leg the scores were tied, Torino winning 2 nil, so extra time began and we went 3 nil up. Game over but Mantova scored a penalty and needed one more to go up instead of Torino. The last 15/20 minutes were unbearable but the euphoria at the end was unsurpassed. I remember the team clambering on to a giant bull behind one of the goals. Not a real one of course. This was beginning of the Cairo years. First Match Attended : This was against Albinoleffe in Serie B about 7/8 years ago in the Stadio Delle Alpi which was an easy victory. It was a very emotional moment for me when the team emerged from the tunnel in their famous colours. This was the first time I was seeing them in the flesh and seeing the Denis Law sign was the icing on the cake, even though he had returned to United after Torino. Last season I was at the Inter game which ended 3 - 3 on a wet night in Turin. I am sure most of our exiled supporters saw it on TV, so no need to go into detail. Favourite Current Players : I only have fairly recent memories. I always enjoyed watching Rosina and from last years team Immobile naturally. I hope he does well at Dortmund. I was really pleased to see 3 of our players in the national squad at the World Cup. Currently, I like Darmian and Glik who is a great captain and leader on the pitch. Predictions/Hopes for this Season : I hope we can consolidate. We have signed a few new players which should give us depth.We will miss Immobile but I am reasonably hopeful. Ventura has done a really good job so far and I enjoy our style of play. We have been a great counter attacking side so I look forward to more of the same this season. Feel free to email your Toro story to torinoblogger@hotmail.co.uk and I'll add it to the website. Torino's disappointing week continued as they fell to a 3-0 defeat against Scudetto-chasing Roma on Sunday evening. As expected, Giampiero Ventura decided to re-inforce the midfield as Toro lined up in a 3-5-1-1 formation with Alexander Farnerud and Omar El Kaddouri taking turns to support lone striker Fabio Quagliarella. Torino made a poor start and were behind after only eight minutes, and ironically it was Greek fullback Vasilis Torosidis who converted Francesco Totti's low cross to give the home side the lead. The Granata reacted well to going behind, and Fabio Quagliarella's left footed curler from the edge of the area forced Morgan De Sanctis into make a good save. Miralem Pjanic rattled the crossbar with a trademark free kick for Roma, but just before the half hour mark the lead was doubled thanks to Seydou Keita's strike from outside the area. Despite making a bright start to the second half, Toro were well and truly out of the game fifteen minutes into the second half as former Fiorentina midfielder Adem Ljajic curled the ball into the top corner from twenty yards out. This defeat was not a surprising one, and some aspects of the performance were encouraging from a Granata point of view. Torino will face arguably their most important week of the season after the international break, as they face Sassuolo, a crucial game in the Europa League against Club Brugge and then the derby against Juventus. We will certainly know a lot more about this team and what we can hope for from this season after those three games are in the record books. The Granata have only scored seven goals all season in the league, but are likely to revert to a 3-5-1-1 formation which served them well earlier on in the season against Cagliari. Antonio Nocerino returns to the squad following injury, as does Amauri who missed the trip to Finland on Thursday. Roma have had a minor blip in the league following their humiliation at home to Bayern Munich in the Champions League, and fell to a 2-0 defeat against Napoli last time out. In this fixture last season, Toro nearly earned a point after Ciro Immobile's sensational equaliser, but a late winning goal by Alessandro Florenzi broke Toro hearts. After Toro's horror-show in Finland on Thursday night, Toro fan Peter Bourne decided to share his thoughts on what has been going wrong for the Granata this season. Yesterday’s performance against HJK Helsinki was the worst in Giampiero Ventura’s reign as Toro coach. Not in the margin of defeat, not perhaps in its consequences but in the manner of the performance. Victory would have all but ensured qualification to the knock-out phase of the Europa League meaning the final two group games could be played out under no pressure. Albeit this is not the Toro way. Defeat against HJK, a team technically comparable with a mid-table Serie B outfit, was perhaps on the cards. Toro have not played a good 90 minutes all season; barely a good 45. The away win against a seriously flawed Cagliari was about the only evidence we’ve seen of last season’s occasionally swashbuckling team. I say occasionally because that Toro mixed compelling counter-attacking football with a tactical cynicism in certain matches. It wasn’t always the fanciful football the revisionist commentators would have you believe. Losing Cerci and Immobile was always going to be tough. Hanging onto them was a near impossible task. Selling made sense. We understand that. Cerci wanted to leave and while he was the player who gave the team a sense of enthralling unpredictability, we probably wouldn’t have seen him motivated to perform at the same level this year. Immobile had the kind of season when nearly everything turned to gold. He’s not yet the finished article and despite his contractual situation with Juve lowering Toro’s financial return, the opportunity to cash in was too tempting. We’re not big enough right now to keep them. Last night’s defeat is a product of a very poor, not quite disastrous summer transfer window, and a tactical rigidity which has held back the team this season. At jeopardy is the exciting and rare possibility of competing in the knock-out stages of Europe against some more glamorous sides than Helsinki and Copenhagen; and a league campaign which could slip into obscurity or even relegation trouble. A brief analysis of the protagonists is probably pertinent. Cairo/Petrachi: President and director of football made their decision in the summer, not to reinvest all of the money paid of Cerci & Immobile. Immobile was sold early, replaced by Quagliarella, a talented but inconsistent player. Cerci was never replaced despite the club knowing all summer he would leave. In came a terrible joke/afterthought: Amauri. This was highly negligent. The two problem positions in the team weren’t filled: we still don’t have a quality left back and a midfield playmaker. The squad is not strong enough in quality to compete on three fronts. Ventura: Ventura mark 1 (Serie B promotion) was characterised by a high possession count and wing play. The transition to the true Ventura style was held back by having to play the static and slow Rolando Bianchi. Same was true for mark 2 (Serie A survival) which saw a 4-2-4 formation deployed which was more often 4-4-2. It again relied on width. Mark 3 (European qualification) saw a more radical swift, 3-5-2, no more wingers, no more target man; a quick counter attacking style built on a solid defence and often tedious defensive possession. Width was provided mainly by Cerci, one of the two forwards. Mark 4 (European football) has seen a Cerci-less side play in the same way, devoid of a playmaker and only attacking ploy is to rely on one of the full backs finding space. Ventura has stuck to a three-man defence even when the opposition has barely posed a threat (Atalanta, Helsinki). To analyse the coach’s decisions in greater depth, we should look at the individual positions. Goalkeeper: From the moment Jean Francois-Gillet’s season ban had expired you had the feeling that Ventura wanted him back in the team. The ‘problem’ was that Daniele Padelli had just enjoyed the best season of his career and had earned a Nazionale call-up. The rumours seemed to destabilise Padelli, after a costly mistake against Verona, he was dropped and relegated to playing the Europa League. Gillet has been excellent, Ventura likes him because he has good feet whereas Padelli can look clumsy in possession. He’s also an agile shotstopper and there’s ultimately little to choose between them. Ventura simply likes having the goalkeeper as his deep-lying playmaker. A coach should then pick the player who best fits his philosophy. Sadly for Padelli he has not looked the same player in the cup matches since he was demoted. I remain convinced the best Toro keeper is Alfred Gomis, currently enjoying a second excellent season on loan in Serie B. It all points to the goalkeeping position not being a problem. Defence: In terms of personnel, Toro are blessed with a good backline, in both quality, balance and numbers. In terms of tactics, playing three centrebacks is starting to look predictable and unnecessary. The often tedious possession football played between the centre-backs needs to be replaced with greater urgency. Glik, Maksimovic, Moretti and Bovo rarely let the team down. Jansson looks a decent addition although he’s not been really tested yet. He is the eventual heir to Glik. Gaston Silva seems someway off being Serie A ready but needs to be nurtured. Full backs: Here there is the strange situation where Toro have to play Italy’s best right back, Darmian, on the left because they still can’t get that position right. Molinaro is an upgrade on the various Caceres, Masiello, Pasquale options but struggles to deliver a cross – essential when the full-backs have becoming the attacking outlets. Darmian (he will be gone next summer) has also enjoyed a continued spell on the left because Bruno Peres has – after a strange debut at home to Verona – looks an excellent signing. An early Maicon without the power is a good description. The overreliance on Darmian aside, its not the root of the team’s problems. Attack: A collective palm masked our faces when Amauri was revealed as the Cerci replacement. 34 years old, ex-Gobbo, slow and uninspiring. So far he has been willing, perhaps too much, but his lack of mobility has been starker than we feared. It wouldn’t have been so bad had the supporting cast been better. Why Larrondo was re-signed remains a mystery. I can’t see what he brings. Barreto is someone Ventura has to explain, another half-hearted, ineffective player with no presence. Quagliarella’s few moments of magic have carried the team but should he get injured, and his form has dropped significantly in recent weeks, then it’s deep trouble. Martinez is a signing that really needs to come off. Give him time but he looks lost and clumsy. Two new forwards were needed in August. They are needed even more now. Torino fell to their first European defeat of the season after a disastrous second half performance saw the Granata lose 2-1 to HJK Helsinki on Thursday night. Giampiero Ventura gave summer signings Juan Sanchez Mino and Josef Martinez rare starts, whilst Daniele Padelli also returned in goal. Former Boca Juniors midfielder Sanchez Mino had the only chance in the first half, but his long range shot was turned onto the post by home keeper Toni Doblas. However, on the hour mark the Finnish champions took a surprise but deserved lead when some unconvincing goalkeeping from Daniele Padelli allowed Gideon Baah to score from close range. Ten minutes before full time the home side doubled their lead, as more hesitant Toro defending allowed Valtteri Moren to find the net. Toro almost had a glimmer of hope of rescuing a point after Fabio Quagliarella scored in the final minute of normal time, but it was too little too late from the Granata. This result pushes Toro down to 2nd place in their Europa League group, however a victory in three weeks time at the Stadio Olimpico against leaders Club Brugge should be enough to send the Granata through. Torino's goalscoring problems were once again their downfall as they were unable to find a way past Atalanta on Sunday evening. As expected, Pontus Jansson replaced Kamil Glik at centre back with the Polish international missing out due to injury. Somewhat surprisingly, Josef Martinez was given his first Serie A start of the season and replaced Amauri upfront. Emiliano Moretti had Toro's best chance in the first half, but his diving header from Bruno Peres' teasing cross went wide of the post. At the other end, Jean-Francois Gillet made an outstanding save to deny Guglielmo Stendardo. In the second half, Pontus Jansson thought he would have the simple task of heading home Fabio Quagliarella's knock back, but keeper Marco Sportiello made an excellent intervention to deny the Swedish defender on two occasions. In injury time, substitute Alexander Farnerud almost clinched all three points, but his free kick clipped the crossbar and Toro had to settle for a point. Toro have only scored seven league goals all season, and four of them were thanks to Fabio Quagliarella - the Granata will have to find their shooting boots soon if they have any aspirations of finishing in the top half. 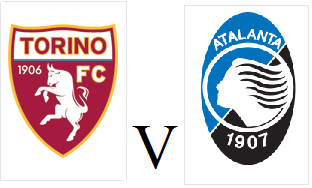 Torino can move into the top half of the Serie A table with a victory over Atalanta on Sunday afternoon. The Granata will be without captain Kamil Glik who picked up an injury in the victory over Parma, but Swedish defender Pontus Jansson has proved to be a more than adequate deputy this season. Alexander Farnerud is also included in the squad after being rested in midweek, whilst Juan Sanchez Mino could start in place of Omar El Kaddouri. Former Torino captain Rolando Bianchi, who scored 77 goals in 180 appearances for the Granata returned to Atalanta in the summer and will be sure to get a good reception from the home fans should he make an appearance. Atalanta had a difficult start to the season losing four of their last six games, but have picked up four points in their last three games - including an impressive point against Napoli in midweek. Torino secured their third win of the season after a narrow 1-0 victory over Parma at the Stadio Olimpico on Wednesday evening. Omar El Kaddouri returned to the starting eleven having missed the last two games due to suspension, whilst former Parma striker Amauri joined Fabio Quagliarella upfront. Toro made an excellent start and were ahead after only ten minutes when Bruno Peres' cross from the right found Matteo Darmian who controlled on his chest before volleying home from the edge of the area. Fabio Quagliarella almost doubled Toro's lead in the second half, but his acrobatic bicycle went narrowly over the bar. Afriyie Acquah, who scored in this fixture last season, could have equalised for the away side but on this occasion he was denied by Jean-Francois Gillet. Substitute Massimo Coda thought he had earnt an important point for Parma, but his goal was disallowed for handball. At the other end, Quagliarella, and then Juan Sanchez Mino missed opportunites in quick succession to give Toro a bigger margin of victory.